Below is info on this year’s project – Summer Shorts ’14. Just looking for the FREE LISTENING release schedule? Scroll down to “Full Release Schedule” below. The audiobook community is giving back! Spoken Freely, a group of more than 40 professional narrators, has teamed with Going Public and Tantor Media to celebrate June is Audiobook Month (JIAM) by offering Summer Shorts ’14, an audio collection of poetry, short stories and essays. All proceeds from sales of the collection will go to ProLiteracy, a national literacy outreach and advocacy organization. Throughout June 2014, 1-2 stories, poems and essays will be released online each day via Going Public, as well as on various author and book blogs. As a “Thank you!” to listeners, pieces will be available for free online listening on their day of release. As a bonus for those who purchase the full collection from Tantor Media in support of ProLiteracy, there are over 20 additional tracks only available via the compilation download.You can purchase the collection HERE. Special pricing of $9.99 through June 30th, in celebration of JIAM. $14.99 from July 1st forward. ProLiteracy, the largest adult literacy and basic education membership organization in the nation, advocates on behalf of adult learners and the programs that serve them, provides training and professional development, and publishes materials used in adult literacy and basic education instruction. ProLiteracy has 1,000 member programs in all 50 states and the District of Columbia and works with 52 nongovernmental organizations in 34 developing countries. Its publishing division, New Readers Press (NRP), has for more than 40 years provided educators with the instructional tools they need to teach adult students and older teens literacy skills for functioning in the world today. Materials are available in a variety of media, including the flagship publication, the weekly news source News for You, which delivers articles online with audio. Proceeds from sales of NRP materials support literacy programs in the U.S. and worldwide. 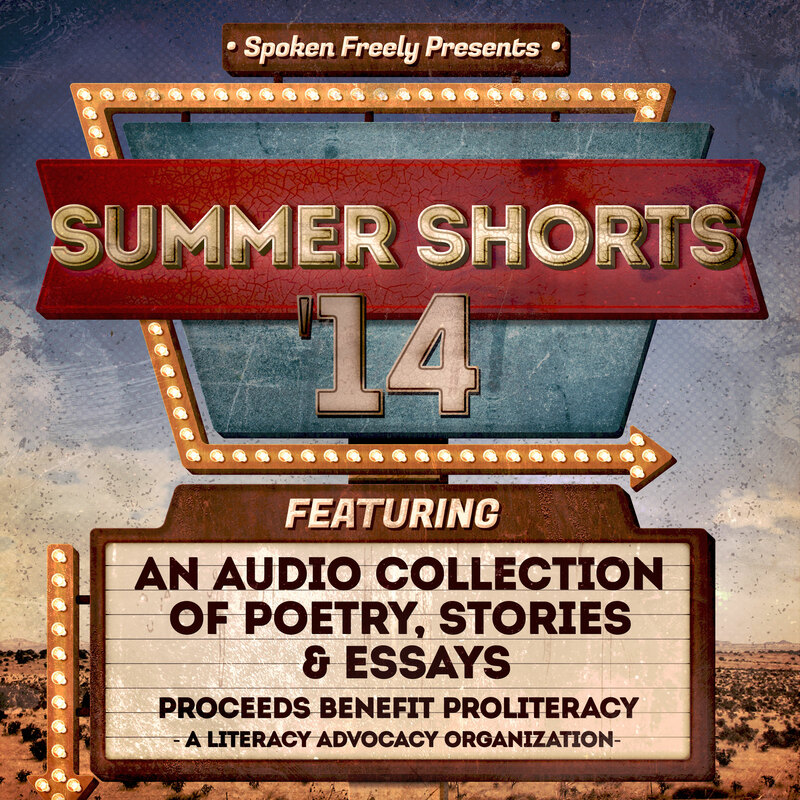 Summer Shorts ’14 is made possible by the efforts of the Spoken Freely narrators and many others who donated their time and energy to bring it to fruition. Post-production, marketing support and publication provided by Tantor Media. Graphic design provided by f power design. Project coordination and executive production provided by Xe Sands. Nonprofit partnership coordination provided by Karen White. This first offering will be free for online listening for 3 days; all other pieces will be available for online listening for their release day only. Poetry Week! From 6/8 – 6/14, we’ll be offering a delectable audio feast of poetry and only poetry! From Shakespeare to St. Vince Millay, Rumi to Dickinson, with modern poets in between! 6/26 Day of Classic Horror, with Poe and Lovecraft! Pingback: Summer Shorts ’14: A Discussion with Author Jane Cawthorne and Narrator Dawn Harvey | my books. my life.